Queensland’s Sunshine Coast is a stretch of coast 90 km north of Brisbane that boasts 60 km of the best beaches in Australia. In its hinterland stand the Glasshouse Mountains, a range of hills formed by long-extinct volcanoes. Its location means that for the Sunshine Coast, solar power is an obvious choice. The Sunshine Coast Region is governed by the Sunshine Coast Council and Noosa Shire Council local government areas. They govern a combined population of approximately 358,000 across a string of towns from Tewantin and Noosa Heads in the north to Caloundra and Pelican Waters in the south. The Kabi Kabi and Jinibara peoples are the traditional owners and custodians of the Sunshine Coast region. The Kabi Kabi people are the owners of the coastal plains and the Mary River Valley. Jinibara country is west of Old Gympie Road, plus the Blackall Ranges. The Glasshouse Mountains are surrounded by fertile land. After Brisbane was founded as a penal colony in 1825, the Sunshine Coast received its first European inhabitants in the form of runaway convicts. It became a source of timber for the Brisbane settlement, then a centre for dairy, fruit and sugar cane by the late-1800s. In a bid to outshine the Gold Coast, the local business association named the area the Sunshine Coast in 1958. In 1971 the Sunshine Plantation opened as the tourism centrepiece of an area thriving on the production of tropical fruits and macadamia nuts. Its iconic Big Pineapple became a national icon. The 16 metre high Big Pineapple at the Sunshine Plantation at Woombye on the Sunshine Coast. Although its operations are now scaled down after several changes of ownership, the Sunshine Plantation was famous enough to get a visit from Prince Charles and Princess Diana in 1983. According to Australian Photovoltaic Institute data, 41.8% of eligible dwellings in the Sunshine Coast Council local government area have rooftop solar panels. In adjoining Noosa Shire Council that number is 37.2%. In comparison, PV Institute data shows Victoria has 15.9% of its dwellings covered by solar, while the far sunnier NT has only 13.8%. In September 2018 the Queensland Government introduced a low interest loans scheme to help people install solar panels. Applicants must receive the Family Tax Benefit B, not already have solar panels installed and own or be paying off their own home. The Sunshine Coast Council was Australia’s first local government to offset its entire electricity consumption across all its facilities and operations from renewable energy generated at the 15 MW Sunshine Coast Solar Farm. This includes administration buildings, aquatic centres, community and performance venues, as well as holiday parks, libraries, art galleries and sporting facilities. The Solar Farm will provide $22 million in savings, after costs, over a 30-year period based on today’s electricity costs. In November 2017, the farm won a major award for ‘innovation and excellence’ in planning at the Planning Institute of Australia Awards for Planning Excellence (Queensland). A 5.3 kW system (20 x 265 Watt solar panels) installed in Maroochydore on the central Sunshine Coast can return an approximate annual financial benefit of up to $2,658. These figures will vary depending on the installation circumstances – such as which direction the panels are facing and household power consumption. Kilowatt hours (kWh) are a measure in thousand-watt steps of how much energy a device uses (or produces) in one hour. A 1,000 Watt microwave running on maximum for one hour uses 1 kWh of energy. A 1 kW solar panel running at maximum capacity generates 1 kWh of energy in one hour. You can really only get the best value out of your solar panels if you have a battery. That’s because all those kWh of energy vanish if you don’t use them during the day as they are generated. The Tesla Powerwall 2 home battery. With 13.5 kWh of stored energy capacity, the Tesla Powerwall 2 could technically run your 1,000 Watt microwave for 13.5 hours. In reality, you may only use the microwave for 20 minutes while also using lights, TV, fans and other appliances. Of course, the more power you use, the sooner the battery drains. By adding battery storage to the rooftop solar system, households on the Sunshine Coast can then reduce their mains grid electricity consumption and make the most of rooftop-generated energy. Federal support for the installation of solar panels on the Sunshine Coast comers from the Small-scale Renewable Energy Scheme. This is based on the issuing of small-scale technology certificates (STCs). These give customers a point of sale discount on the installation that can amount to thousands of dollars depending on the solar panel system size. You can find out more about how STCs are calculated at Energy Matters’ STC information page. These may change from time to time, so contact retailers for the latest rates. Also remember to check the price you will be paying for grid electricity under each feed-in tariff plan. A high feed-in tariff could mean you are paying a lot more for any electricity you do use. You could also talk to your solar installation company about the best solar panel system for your situation. 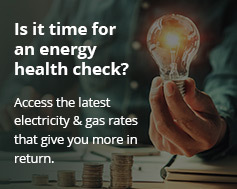 If you live in the Sunshine Coast region, Energy Matters can help you go solar and cut your electricity bills. If you’re also interested in boosting your energy independence with a battery system, we can help there too. And don’t forget, at the same time you are doing your bit to reduce carbon emissions. Energy Matters is an award-winning company installing solar panels and battery storage for more than a decade. Contact our Sunshine Coast solar experts on 133 786 for a chat about your situation and how solar panels and a home battery can change the way you think about your energy use.